How to Prepare for Home Appraisal? Home appraisals are the bane for home sellers. A home appraisal can make or break a sale, and it can cause severe issues for a refinancing request. If you have ever placed your house in the market for sale, you must already know how nerve-wracking home appraisals are. Home appraisals are critical in real estate because they determine the actual value of a property. Typically, licensed professionals conducts home appraisals that know and understand what affects the cost of a house in an open market. Of course, all homeowners want their homes to be appraised highly because the higher the appraisal is, the more money you stand to fetch if you plan on refinancing or selling it. Ensure that your home appraisal goes as smoothly. Preparing ahead of time is essential. You’ll improve your chances of getting a favorable appraisal. Be sure to fix all the areas that you can, before the home appraisals are scheduled. if you fancy yourself a DIY enthusiast, Go ahead and clean out the gutters and re-paint specific regions. For more complicated repairs such as plumbing and electrical, be sure to rely on a professional that can make sure that everything is done correctly so as not to jeopardize your appraisal. If your home has unique attributes make sure that the appraiser is acquainted with them. Have you appraised homes in THIS neighborhood? Can you please write down your certification or license number? Are you a certified appraiser of just a licensed appraiser? a certified appraiser his higher qualified than someone who is merely licensed. Have you ever been disciplined as an appraiser? If so, what for? Are you a member of the MLS (Multiple Listing System? Membership to the MLS is a subscription to the needed data to properly perform an appraisal. If the appraiser does not have a membership to the MLS they cannot perform a proper appraisal. One of the most natural things ways to ensure that your home comes in at the value that you want is to wash the property thoroughly. Ensure that space is free of clutter so that your area can look inviting. Make sure that you deep clean your interior before the appraiser comes and clean it regularly after that. 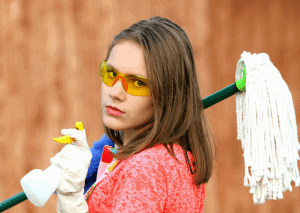 While a clean house is technically not included in the appraisal notes, it can go a long way in helping to influence the appraiser’s decision. Be sure to notify your appraiser of any home improvement projects that you may have made such as replace gutters and siding, a new rood, remodeled areas, and updated HVAC units. When the appraiser shows up you can make their job a little easier. They will be grateful for that. Maybe the 3 homes that sold in your neighborhood are similar in size but lack the improvements you have made. Type up a simple list that states each improvement made. Show the year the work was done. Make sure the improvement cost is there too. If you have receipts for costly improvements like kitchen renovations, roofs, air conditioners, room additions, etc, you should supply a copy to the appraiser.